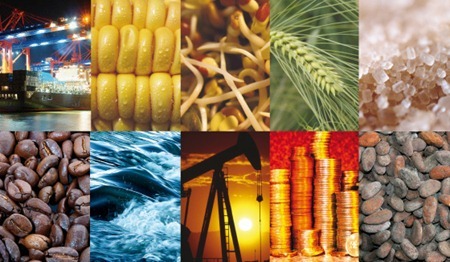 2009 was a disappointing year for the commodities in the light of asset bubbles bursting catastrophically across the globe – And, it comes as a no surprise that 2010 has panned out to be a good year for the companies that deal with commodities. In fact, selected commodities did see some revival in the latter half of 2009, followed by further increase in prices in 2010 as world economic activity expanded after the global crisis. The initial impetus came from the perception that the worst of the global recession was over. Further, increased public spending and quantitative easing measures announced by major economies during the recession succeeded in lowering uncertainty and fuelling rally in commodities such as cotton, corn and silver amongst others. Moreover, commodity shortages are likely to continue going into early next year as output of agricultural products is expected to fall short of the rising demand pattern. Unusually high cotton prices have prompted apparel makers to scramble for the increased use of synthetic and polyester fibres to keep down the input costs. Cotton has registered a record 74% return in the domestic markets – a rise from Rs.25000 per candy to Rs.44000 in the past 10 months – led by shortage of raw material. Cotton can easily be termed as commodity of the year. In fact, India – the second largest cotton producer in the world – could well be a major beneficiary due to rise in global prices of cotton, if the appeal made by cotton growers to allow export under the open general license is approved by the government. However, economists see demand destruction for the next year if the record cotton prices refuse to die down for a longer period. Trade estimates suggest that India is likely to harvest 3.50 crore bales in 2010-11. Next in line of out-performers in commodities is Coffee – which has logged an impressive 45% returns in 2010. According to International Coffee Organization composite price indicator, currently the coffee price in the global market has topped 170 cents per pound compared to the average price of 121 cents per pound recorded in October 2009. Moreover, global coffee supplies may tighten after an Indian exporters’ group forecast a delay in harvesting because of extended rains. India is Asia’s biggest coffee exporter. Further, the analysts tracking coffee prices expect the rates to continue inching higher until weather concerns ease in Brazil and Vietnam. Overall, coffee exports during the January-October period of this year have risen sharply to 251,355 tons from 157,824 tons in the year-ago period. In India, the New coffee year – which runs from Oct’ 10 to Sep’ 11 – has started on a good note as coffee exports increased by a whooping 60% in the first month of the crop year. Even as the yellow metal regains its Rs.20,000 platform, it is silver that is still touching all time highs at Rs.37, 700 per kg, a level never seen before. Silver surged to 30 year high in the overseas market as a weaker dollar increased the investment appeal of precious metals. Silver prices for 2009 have risen like a phoenix from the financial ashes mainly on the winds of strong investment demand. Moreover, even in 2010, silver has yielded a decent 40% returns, propelled by confident resurfacing of industrial demand post the economic slack. On the other hand, gold has surged 21% during the 10 months period. Bullion analysts are positive on silver indicating that the precious metal has barely made halfway back to its prior nominal high of $50 an ounce, achieved around early 1980s. However, despite industrial demand for silver, the real pressure going forward is from investment demand, which has been a fraction of that of gold. 2010 is shaping up to be a good year for the corn producers with the crop providing a good 25% returns from January to October period. In addition, signs of economic recovery point to a rebound in feed use, ethanol use and an increase in the demand for the corn. The corn prices are gradually rising on speculation that US (the world’s biggest grower and exporter of corn) inventories will fall after adverse weather reduced Midwest output. To add to the crisis, China has emerged as a buyer of largest volume of corn from the US this year. Analysts expect that a surge in global prices and a likelihood of a drop in domestic prices could help India seal more export deals in the coming weeks. Nickel prices have appreciated by 24%, driven by escalating demand from stainless steel industry amid tight supplies. Supported by firming trend in global markets and rising domestic demand from the alloy makers, nickel prices traded at Rs.1060 per kg. About 2/3rd of the total nickel output is used in the manufacturing of stainless steel. Further, followers of the stainless steel market expect prices of nickel to remain firm over the next three years. Will the commodity bull run continue its winning streak into 2011? Harley Davidson prices to get cheaper – sets up a local manufacturing unit! The reason for the 74% return in cotton is due to two basic reasons. The worst floods in known history damaged cotton crop extensively in Pakistan, the commodity started rising. At the same time when government realized that we will be having bumper crops, in order to stabilize the market (avoid glut in local market and make sure farmers get good prices) allowed 55 lakh bales of cotton exports. Due to the removal of excess cotton from market and due to already higher international prices, this season farmers got good price. i.e. 74%. However people venturing into commodities should know that this is a highly volatile segment and is highly seasonal and cyclic in nature. When there is shortage of sugar cane, the prices of sugar go through the roof. Seeing the high prices of sugar, farmers sow more sugarcane next season. When there is glut of sugar cane in market, prices collapse and mills default in paying farmers. Discouraged farmers harvest another crop next year. So the high. low in sugar cane is established as a 7 year cycle by industry experts. Similarly every commodity has its cycle, factors and volatility. Some have longer cycles, some shorter. Before venturing into commodities trading, we should know what factors effect the commodity which we are going to trade just like the stock market. Yes, its an astounding return of 74% in cotton this year, so far. In fact, Cotton is one those commodities that has mostly lagged behind in terms of price performance over the years. What a smart come back this commodity has had this time around for it’s crop producers – And, fortunately, India is second largest producer of cotton, which could bring back some smile on the face of farmers. Nice article. Actually I was wondering why we (well !! most of us) are not able to take advantage of this segment? In general Indians have graduated to playing stock markets / mutual funds / IPOs. Except for Gold, nobody plays commodities. Occationally we see expert comments on CNBC/Bllomberg about them. Other than that the commodity market is not explored by Indians in general. You are absolutely right. Common man has still now entered commodities market…either because of lack of knowledge or because there are not enough venues they can participate in commodities ! Nice point of apprehension raised by you. In fact, commodity trading is an interesting option for those who wish to diversify from the traditional investment options like equity shares, debt markets and other fixed income schemes. As such, commodities as an asset class has still not evolved big time in India, mostly due to lack of appropriate expertise and knowledge amongst retail inevstors. The concept of trading in these sophisticated products was highly limited to HNI clients of the large brokerages, until now. Moreover, with the advancement in infrastructure and emergence of multi-commodity exchanges, commodity trading is now one facility that investors can explore for investing their money. Further, the above instances of commodity success stories would gradually play its role in attracting more and more investors to this unique asset class. Even as I am writing this, the Indian Commodity market has already undergone lots of changes due to the changing global economic scenario; thus throwing up many opportunities in the process.